Food Friday – Best Brunch Dish Ever! I make this dish for our mom’s group at least once a year. We always serve a brunch at our bi-monthly meetings. I got the recipe from my friend Marge who made this for several youth group fundraising breakfasts back when I was a youth director. She also made it for my baby shower when my oldest was born. You need to plan ahead as it has to refrigerate overnight and it takes about one hour to bake. Line a greased 9 x 13 pan with bread cubes. Beat milk, butter, salt, mustard, and eggs until fluffy. Add cheese, ham, mushrooms, and green pepper. Pour over the bread cubes. Cover with foil and refrigerate overnight. Bake at 325 degrees for one hour. 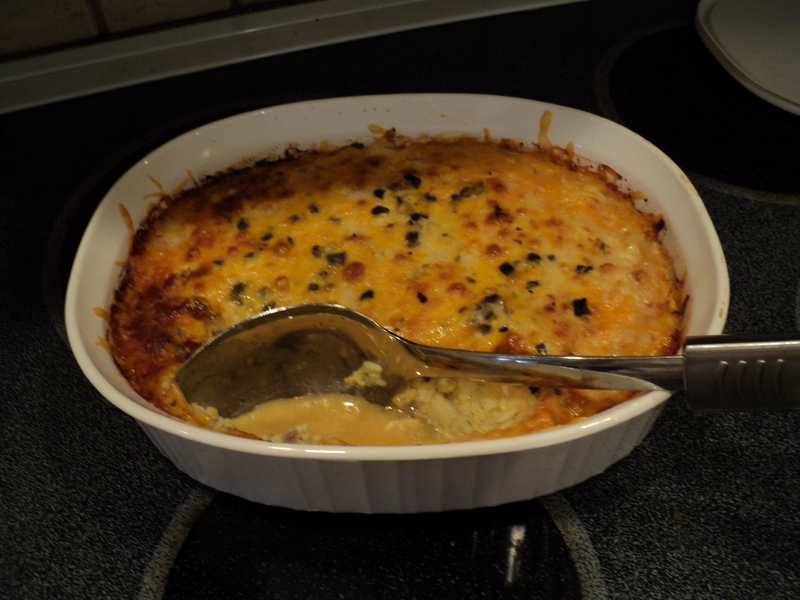 This entry was posted in Food & Recipes and tagged casseroles, main dishes. Bookmark the permalink. I have a similar recipe, and we love it! I haven’t made it in a while, so I probably should. Thanks for the reminder.